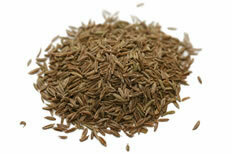 More than 180 spice-derived compounds have been identified and scientifically explored for their health benefits. 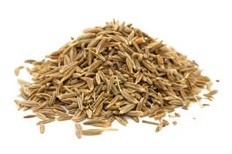 It is beyond the scope of a single article to deal with all herbs and spices that may influence the risk of cancer and tumor behavior, so we’ve highlighted 18 of the most powerful. Defeating a disease often labelled ‘incurable’ through conventional treatment typically happens through dietary strategies. A selection of spices can avert the multiplying of malignant cells in the body that gradually mature into insurmountable cancer cells. Spices like turmeric and saffron are inherent with medicinal properties that, when incorporated to our diet from an early stage strengthens our bodies against invasion of toxins, bacteria and viruses. 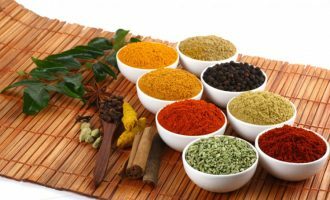 A conscious effort has been made in the scientific community to provide information about the amount of spices needed to bring about a response and thus their physiological relevance. 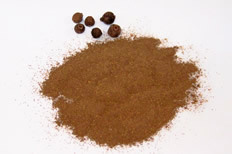 Although the health attributes associated with spice use may arise from their antioxidant properties, their biological effects may arise from their ability to induce changes in a number of cellular processes, including those involved with drug metabolism, cell division, apoptosis, differentiation, and immuno-competence. 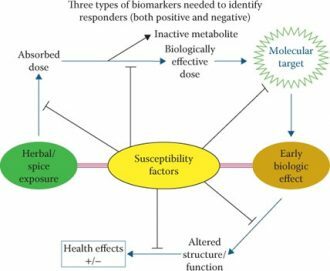 Three types of biomarkers — exposure, effect, and susceptibility — are needed to evaluate the effects of spices in cancer prevention and therapy (see figure below). 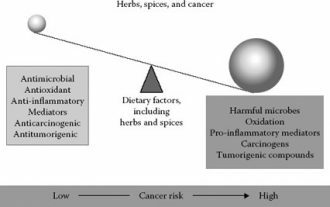 Spices may be a key to determining the balance between pro- and anti-cancer factors that regulate risk and tumor behavior. About 75% of households use dietary approaches to reduce their risk of diseases, including cancer. People between the ages of 36 and 55 are increasingly interested in adopting healthy eating behaviors and are gravitating toward ethnic cuisines based on perceived health benefits. Many of these ethnic foods are loaded with unique and flavorful spices; however, while dietary guidelines in several countries tend to support the incorporation of spices into diets, quantifiable recommendations for specific amounts have not yet been forthcoming. 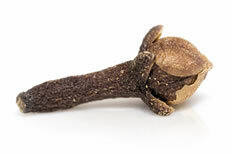 The ability of spices to serve as inhibitors of carcinogen bio-activation, decrease free radical formation, suppress cell division and promote apoptosis in cancerous cells, suppress microbial growth, and regulate inflammation and immuno-competence will be discussed as plausible mechanisms by which selected spices may promote health and disease resistance. The low toxicity and wide acceptance of spices may make them particularly useful as a subtle personal dietary change that may decrease risk for several diseases. 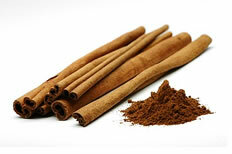 Multiple cancer-related processes may account for the ability of spices to inhibit experimentally induced cancers. 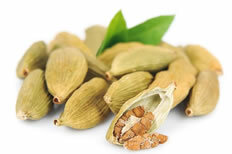 While these processes are likely critical for determining the risk of cancer and tumor behavior in humans, only limited clinical evidence exists that spices in physiological relevant exposures can alter one or more of these process. Future research should therefore focus on which process(es) is/are important for human health: DNA repair, inflammatory response, hormonal regulation, carcinogen metabolism, the cell cycle, apoptosis and differentiation. 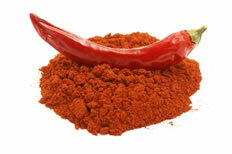 The cayenne pepper — also known as the Guinea spice, cow-horn pepper, aleva, bird pepper, or, especially in its powdered form, red pepper — is a hot chili pepper used to flavour dishes. 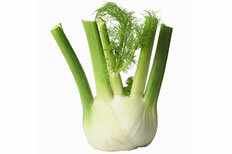 It is red colored when ripened to maturity, but also eaten while still green. It is a cultivar of Capsicum annuum related to bell peppers, jalapenos, paprika and others. Initial experiments in cancer cells and mice show that capsaicin causes prostate cancer cells to undergo a kind of suicide. Researchers speculate that, in the future, pills containing capsaicin might be used as therapy to prevent prostate cancer’s return. “Capsaicin inhibits the growth of human prostate cancer cell in Petri dishes and mice,” said lead researcher Dr. H. Phillip Koeffler, director of hematology and oncology at Cedars-Sinai Medical Center and a professor of medicine at the University of California, Los Angeles. 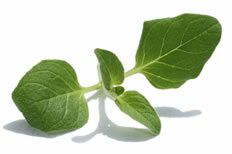 Oregano confirms its worth as a potential agent against prostate cancer. 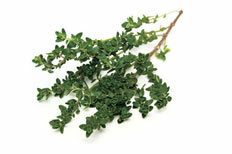 Consisting of anti-microbial compounds, just one teaspoon of oregano has the power of two cups of red grapes! 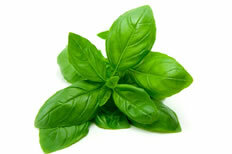 Phyto-chemical ‘Quercetin’ present in oregano restricts growth of malignant cells in the body and acts like a drug against cancer-centric diseases. 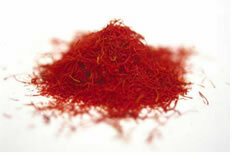 The natural carotenoid ‘Crocetin’ is the primary cancer-fighting element that saffron contains. It not only inhibits the progression of the disease but also decreases the size of the tumour by half, guaranteeing a complete goodbye to cancer. Though it is the most expensive spice in the world for it is derived from around 250,000 flower stigmas (saffron crocus) that make just about half a kilo, a few saffron threads come loaded with benefits you won’t regret paying for. 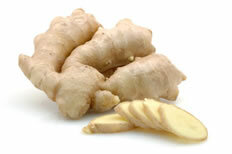 Turmeric (Curcuma longa) is a rhizomatous herbaceous perennial plant of the ginger family, Zingiberaceae. 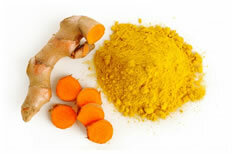 Turmeric has been used in India for thousands of years and is a major part of Ayurvedic medicine. 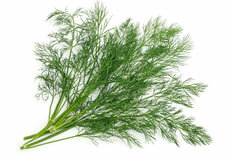 It was first used as a dye and then later for its medicinal properties. Its active ingredient, curcumin, inhibits inflammatory reactions, has anti-diabetic effects, reduces cholesterol among other powerful health effects. A new study led by a research team at Ludwig-Maximilians-Universitat (LMU) in Munich now shows that it can also inhibit formation of metastases. One of the most comprehensive summaries of a review of 700 turmeric studies to date was published by the respected ethnobotanist James A. Duke, Phd. He showed that turmeric appears to outperform many pharmaceuticals in its effects against several chronic, debilitating diseases, and does so with virtually no adverse side effects. 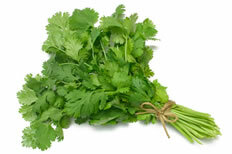 This is the king of spices when it comes to dealing with cancer diseases, besides it adding a zesty colour to our food on the platter. Turmeric contains the powerful polyphenol Curcumin that has been clinically proven to retard the growth of cancer cells causing prostrate cancer, melanoma, breast cancer, brain tumour, pancreatic cancer and leukemia amongst a host of others. Curcumin promotes ‘Apoptosis’- (programmed cell death/cell suicide) that safely eliminates cancer breeding cells without posing a threat to the development of other healthy cells. In cases of conventional radiotherapy and chemotherapy, the surrounding cells too become a target in addition to the cancer cells. Therefore, the side-effects are imminent. 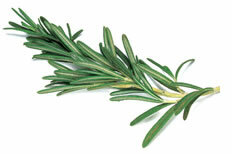 Duke noted that in the handbook Phytochemicals: Mechanisms of Action, curcumin and/or turmeric were effective in animal models in prevention and/or treatment of colon cancer, mammary cancer, prostate cancer, murine hepato-carcinogenesis (liver cancer in rats), esophageal cancer, and oral cancer. Curcumin may be useful in the prevention of breast and prostate cancers — which are both linked to inflammation — and in reducing their metastatic potential. It could play a positive role in primary prevention — before a full-blown tumor arises — or help to avert formation of metastases. In this context the fact that the substance is well tolerated is very important, because one can safely recommend it to individuals who have an increased tumor risk. 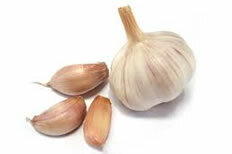 Next articleGarlic In Milk- Cures Asthma, Pneumonia, Tuberculosis, Cardiac Problems, Insomnia, Arthritis, Cough And Many Other Diseases!